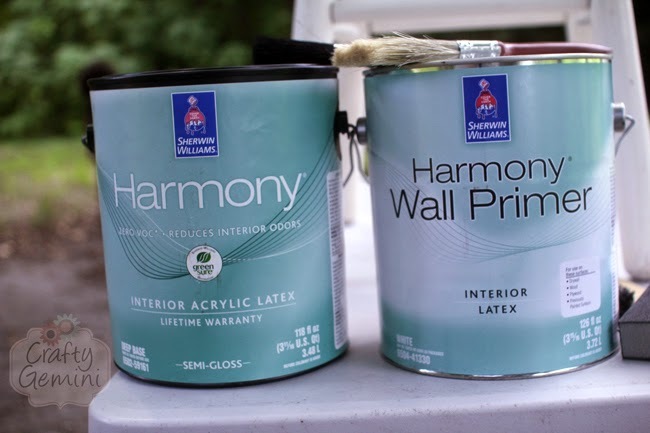 I recently had the opportunity to work on a fun new home decor project for Sherwin Williams. Specifically for their new Sherwin Williams Latino website. The website is completely in Spanish so as you can imagine the video tutorial I made is in Spanish as well. If you don’t speak Spanish, I included English captions for you to follow along easily. Even if you don’t read the captions I think the instructions are clear enough that you could recreate this project yourself just from the visuals. In my step-by-step video tutorial I show you how I give new life to these old bar stools I got at a garage sale for $1.00 each. I knew what fabric I wanted to use from my stash to create the removable seat covers but was not sure of the paint that would match it nicely. Then I discovered the Sherwin Williams ColorSnap App (available for iPhone and Android). With this mobile app I was able to take a picture of my fabric, pick out a color I loved and click on it. Then the mobile app quickly told me what the Sherwin Williams paint equivalent of that same color was. Ta-dah! No guess work needed! I went by my local Sherwin Williams store, picked up my paint and got straight to work. Super easy! For those of you that sew home decor projects and are looking for ways to match paint colors to drapery, cushion covers and other printed fabrics be sure to download that ColorSnap App and check it out! I think it’s a fab tool to use and can see myself using it for a lot of different projects. The Sherwin Williams Harmony paint and primer I used for this project. In this video tutorial I walk you through everything- prepping the bar stools, sanding, priming, painting, upholstering the new bar stool and creating a new removable seat cushion cover for it! Click here to watch the video tutorial or you can view it right on this page below. 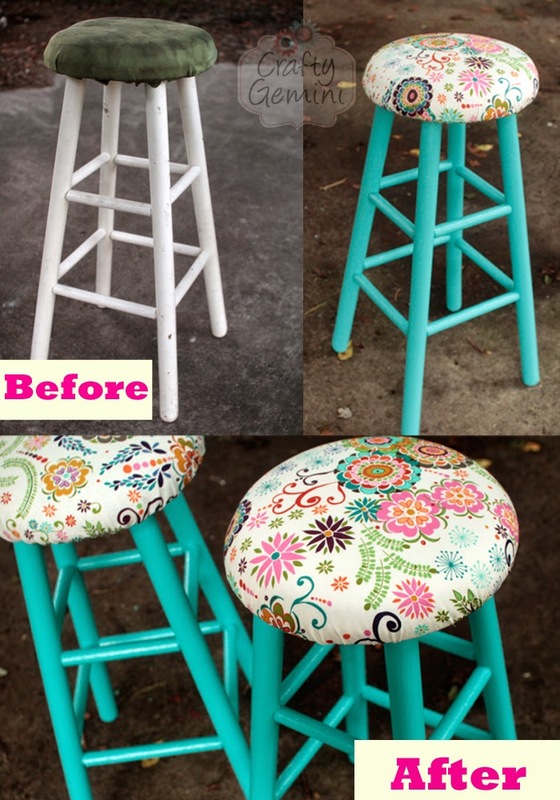 Do you have bar stools or chairs in your home that need a makeover? Hope you’ll give this project a try!